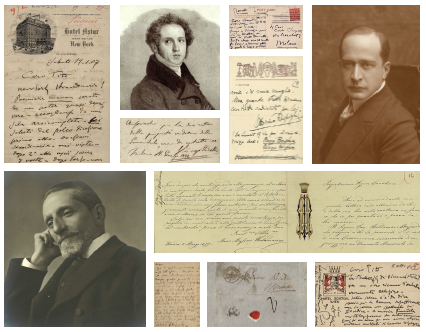 Thanks to a huge work of digitalization, the collection of letters of Casa Ricordi is for the first time freely available for the consulting on this website. Since now the Collezione Digitale of the Archive is enriched with new functions to improve the fruition and surfing, but especially with contents: the collection of letters of the company, a total of 31.000 original letters to tell the story of the great publish house of music , with a a particular attention to the private letters of Giulio Ricordi and the son Tito between 1888 and 1918. The new website of the Archivio Storico Ricordi is presented at 11:00 am at Sala Passione of the Pinacoteca di Brera, free entrance. The speakers are Gabriele Dotto, Pierluigi Ledda, Andrea Montorio, Patrizia Rebulla and Graziella Seminara.